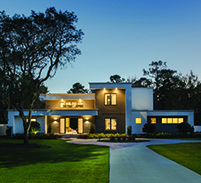 Lutron automated lighting and shade control solutions enhance your lifestyle, improve comfort, and add convenience. Plus, you can control any of our systems from your mobile device, from wherever you are. Our solutions are ideal for any type of home, including single family homes, condos, and townhouses. Easily control lighting in any room - or multiple rooms - of your home with dimmers, sensors, and automated shades. Control lights, shades, and temperature throughout your entire home with the touch of a button or through an automated schedule.Seamlessly integrate with other whole home systems such as A/V and security for a complete solution. Add versatility and ambiance to a room by replacing existing switches with dimmers. Or use this opportunity to add wireless smart lighting and shade control to your home. 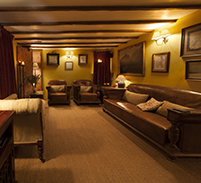 Personalize your new space with lighting control that meet the needs of each space. 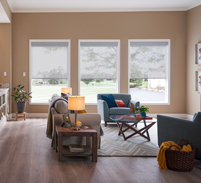 Make your home unique by controlling your lights with sleek keypads and accessories, and adding automated shades that coordinate with your décor.